Battle of Angamos Day, also known as Navy Day, is a public holiday in Peru celebrated on October 8. It commemorates the anniversary of the creation of the Peruvian Navy (1821) and of the naval Battle of Angamos fought in 1879 during the War of the Pacific. 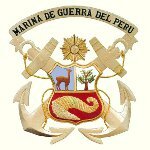 The Peruvian Navy was officially established by general José de San Martín on October 8, 1821. It was engaged in the Peruvian War of Independence and a number of wars between Peru and neighboring states. In 1879, Peru entered into war against Chile and allied Bolivia. This war is known as the War of the Pacific. The Battle of Agnamos was the decisive battle of the naval campaign of the war. The Peruvian Navy suffered a crushing defeat and was unable to prevent the invasion of the territory of Peru. One of the reasons for the defeat was the death of Admiral Miguel Grau Seminario, who was killed in a four against one duel. Battle of Angamos Day was established to commemorate Admiral Grau and all those who died during the battle. As it is a public holiday, it is widely celebrated across the country. The holiday is marked with military and civil parades, official ceremonies, and other events and activities that focus on honoring the Peruvian Navy and Admiral Miguel Grau.